Fewer posts this week, as I had a shorter weekend due to work commitments. I’ll try to ration out what I have so that there isn't a total drought. Here’s the Elysian Sergeant. This guy was a real pain to build, because in the FW literature the elysian sergeants have lasrifles, not the same as the normal codex, some creative conversion was required. I used a “weapon support” arm to give a casual grasp to the plasma pistol, and combined two arms, one mechanical, to give the chainsword arm it’s grip. I’m ultimately quite pleased with the personality he exhibits, but he was a pig to create. These two troopers are quite vanilla, and painted as a pair because of their similarity, you'll see that theme in the next to batches of three as well. The sculpts really are a joy to paint though, and its making me consider more of these fellows. They look great, and you're right they do look like a lot of fun to paint. I like how you did the visor goggle effect. Have you thought about throwing a gloss coat on it to have it pop a little more? I really like the work you have done. I have always liked these models but just never really thought of a use for them in my Army, and the wife won't let me start another Army. How did you get the right scale on your Sgt conversion? As Forgeworld made the Elysian models true to 28mm scale and GW parts are a little bigger than 28mm. 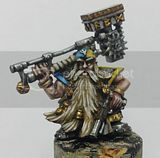 Brian - I have considered it, I usually give all my models a dullcote, and I havent done that yet. - what i've done in the past with things I want shiny if go over them aftet the dullcote with either vallejo still water or just klear. Dave - that's kindof why it had to be the mechanical arm, I did test fit a few others and it was the one that worked best. As a sidenote I could have got away with some of the arms from the empire militia kit, with some shaving and sculpting, but Cadian hands are just too darn big.